“Work Hard!” was a favorite salutation of Mom when we left to head back to our respective homes or schools. And it was at the core of Rose Chilsen, who passed away April 4th, 2019, after a three-month stretch of hospice-at-home (poignantly 100 days after her husband Walter John’s death). Close friends and family gathered with her the last remaining days of her life. Born Rosella Ann Edl, as one of twelve to poor Bohemian farmers Joseph and Mary (Hach) Edl in Southwest Wisconsin on September 3rd, 1926, Rose early on learned the meaning of hard work. Rural life was already very difficult. As the Great Depression descended upon the country, it hit her family especially hard. However, Rose has been quoted in the D. C. Everest book of interviews on the Great Depression as saying, “In fact, we had a happy childhood; we had a lot of fun, but we worked an awful lot! We didn’t feel that we were poor; everybody in our neighborhood was in the same boat. Though our family had many difficult times, our deeply rooted faith in God carried us through.” Her parents had planted the seeds of religious belief, which would grow deep throughout her life. After graduating from Iowa County elementary Public Schools in June 1940, Rose spent time in Oconomowoc living with her beloved Aunt Hannah. 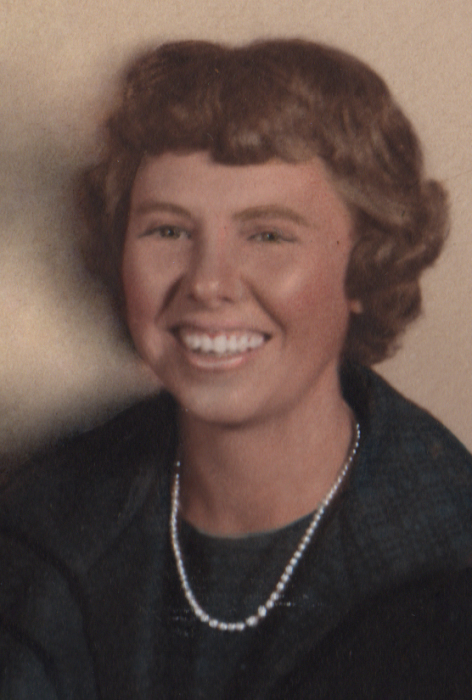 She attended high school in Little Falls, Minnesota, graduating from Saint Francis High School in May 1945. From there she returned to Southwest Wisconsin to study being a Radiologic Technologist and to work at Dodgeville General Hospital (formerly Saint Joseph’s Hospital), in the early days of that field. One night she was called to take x-rays of some car crash victims, and it turned out to be her parents! Next she worked at Attix Clinic in Lewiston, Montana. Her following stint was in Merrill, WI to advance her training with the Sisters of Mercy at Holy Cross Hospital, especially under the kind and mindful tutelage of Sister Ermenfrida. Rose was awarded her certification with honors from the American Society of Radiologic Technologists. She had found a calling and it brought her great joy to do this work in the medical arena. It was in Merrill that she found the other great love of her life - on radio - the dreamy voice of Walter John Chilsen, on a program he hosted called Eventide Echoes. Rose would rush home after work at the hospital just to tune in her radio to listen to the soft sounds of his voice floating over the air. They married on September 20th, 1952, in Ridgeway, Wisconsin, at St. Bridget’s Catholic Church. Eight children followed in quick succession. They lived in Merrill for a time, in a room above his father’s newspaper offices, then travelled to Milwaukee. Work offers brought them back to north central Wisconsin, where they bought a hundred-year old farmhouse on Townline Road with a yard full of mud and chickens. Ducks, dogs, cats, and a pet raccoon “Ricky” shared the hilltop retreat with the growing family. Rose lived there until her death, fulfilling her long-time dream to depart this world in the comfort of her own cherished home, though the last three months were extremely difficult without her Walter John. As the children grew, Rose and Walter opened their home to unwed mothers and foreign exchange students from Brazil, Panama, Mexico, and Malawi, many of whom became “family.” With never an end to the laundry, tireless sewing of clothing, cooking, cleaning, plus flower gardens (her simple joy), an apple orchard (applesauce) and two vegetable gardens, including the canning and preserving that went with it, Rose had the perfect opportunity to teach her children the value and reward of hard work. Never forgetting a youth of poverty and struggle, Rose was compelled to start a group at St. Mary’s Catholic Church, with the moniker The Circle of Joy. Women in the group encouraged the parish to donate food and goods and then delivered them to those in need in the community. Many of her children were “voluntold” to help with this venture. The Circle of Joy grew. Soon Rose helped co-found a non-profit organization, and put together the first food pantry for The Neighbors’ Place (TNP). She and Walter were decades-long volunteers at TNP, where Walter John held the honor of “Permanent Vice Chair.” Rose received the J. C. Penney Community Service (Golden Rule) Award (begun in 1982) for her work with the Circle of Joy and TNP (1987). Since Walter’s death, TNP launched the Rose and Walter John Chilsen Legacy Society - a permanent fund to aid The Neighbors’ Place in its mission to continue helping those in need in north central Wisconsin. Additionally, Rose worked assisting terminally ill patients in an early iteration of hospice in Wausau. On top of all this, it must be said that Rose was the bedrock for WJ’s political career, not only caring for the children, but hosting fundraisers, tolerating photo opportunities, accompanying him as he stumped his way around the district, overseeing mailings and enlisting the Chilsen children (and their friends!) to help on the campaign trails. Rose and WJ loved to travel together, even with the eight children overflowing the various station wagons. There were awesome trips to visit friends and relatives, camping and canoeing, stopping to see sights like The Badlands, The Grand Canyon, The Corn Palace, Wall Drug, Old Faithful, the Tetons, Las Vegas, and Hollywood. Often stopping the car to pick interesting weeds (her father was once the weed commissioner of Iowa County), her children fondly decided she must be an honorary member of the made-up group, WPA (Weed Pickers of America). Once the children had flown the coop, they visited places like Costa Rica, Puerto Rico, Brazil, Alaska, Prince Edward Island, Greece, and Turkey. They also made trips to Ireland, Norway, and several excursions to the beloved Czech Republic, always searching for roots from the family trees and making connections to treasured relatives there. Rose took on genealogy with a zest, and left a roomful of information behind her. Another passion included the purchase and years-long revitalization of her mother’s family homestead, Hach Hill House in the rolling hills of SW Wisconsin and the valleys of the Wisconsin River. Other favorite pastimes included: singing in the Holy Name choir with WJ; participating in the Parish Council of Catholic Women; flowering; gardening; knitting; working on her loom and voracious reading - with endless bedtime stories for the children and grandchildren, and more classic fare when the children were out of the nest. Rose is survived by her eight children: Jonathan (Tammie Weiss), of DeForest, WI; Anna (Joe Straub), of Marathon, WI; Kristine (Bill Rundle), of Evansville, WI; Elizabeth “Liz” (Michael Garman), of Forest Park, IL; Peter (Jacquelynn Evans), of Muskego, WI; Patricia (John Golbach), of New York, NY; Paul, of Nashville, TN, (Lisa Chilsen, of Kenosha, WI); and Matthew, of Weehawken, NJ; and by former daughter-in-law Jo Shilts, of New Richmond, WI. She is further survived by her grandchildren, whom she held close to her heart and in whom she took much pride: Kali Chilsen; Devon Weiss and Garrett Scheffen; Katherine, Andrew (Ayila Hall), and Amelia Straub; Margaret Chilsen; Alexander (Tarren Sohier), Benjamin, and Jackie (Brian Montpetit) Chilsen; Gabriella (JonCarlos Velez); Freyja Chilsen Golbach; Rose and Anfinn Chilsen; and by a growing tribe of great-grandchildren: Eliana and Reyah Velez; Michael and Aidan Torres and Phillip Waller; Evalie and Jasfer Straub; and many beloved nieces and nephews together with their beautiful families. She is also survived by her two sisters Angela Rooney and Sr. Bette Edl, and her brother Gerald (Amy) Edl. Her “adopted” foreign exchange families include Mario Antonio and Marilia Firjam, of Juiz de Fora, Brazil, and their children and extended family; and Eugenio “Gino” Alvarado and his daughter Maria Alejandra, of Panama City, Panama. In addition, Rose and WJ formed deep relationships and she cherished her many lifelong friendships and treasured neighbors. Rose and Walter John’s much-loved dog Bily seems a bit lost and forlorn without them (like us), but plans to relocate to a loving family member’s home. Rose was preceded in death by her dearly beloved husband, Walter John, who left her side on December 25, 2018, “not according to plan.” Also preceding her in death are her siblings Steve Edl, Agatha Pulley-Olson, John Edl, Frances Vahl, Mary Stewart, Lillian Thousand, Joe Edl and Susanna P. Paull Williams. A Mass of Christian Burial will be held at 1:00 p.m. on Friday, April 12th, 2019 at Holy Name of Jesus Catholic Church, 1104 S. 9th Ave. Wausau. Visitation will be held from 10:00 a.m. until the time of the funeral service at the church. Interment will be private. In lieu of flowers, the family asks that a contribution be made to The Neighbors’ Place. 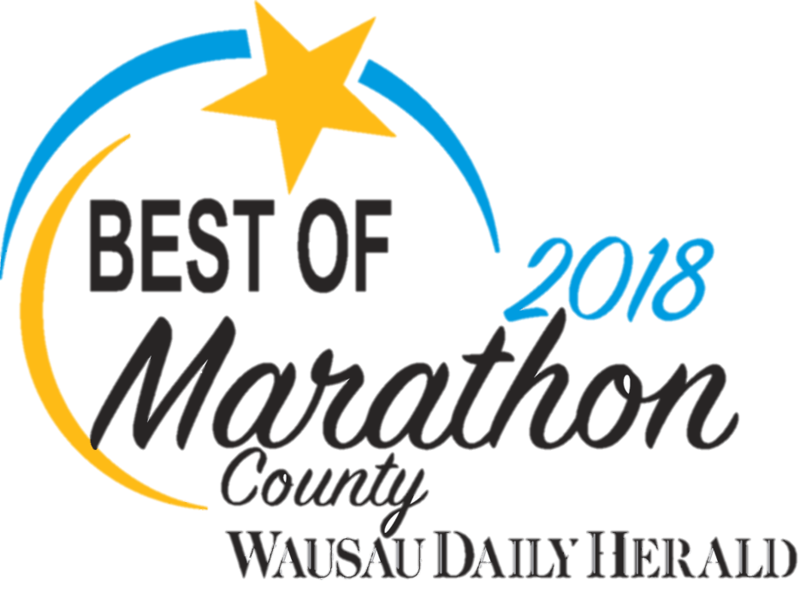 Special thanks goes out to Aspirus Hospice of Wausau for their kind and comforting support. We also extend much gratitude to Rose’s in-home caregivers, Shandra Skalecke and Noreen Landowski, and other family and friends that offered their love and care during these final months.